Leo Heilinger started his professional career as a design and development engineer. He later diversified into technical sales of capital goods, and was later active in sales in the medical technology sector. In 2004 he became a Divisional Manager in Austria. In addition to this role, he assumed responsibility for international business in CEE (South-East Europe) and the CIS countries. In 2011 and 2012, he relocated to the United Arab Emirates (Dubai) as Managing Director for the Medical Laboratory Diagnostics Division for Central, North and West Africa. Since 2014, he has been an independent consultant, which has included providing support to the Vienna University business incubator and start-up service, INiTS, as “Expert in Residence for Life Sciences”. Leo Heilinger is a part-time lecturer at the University of Applied Science for Upper Austria and is a regular expert and jury panel member for the Austrian Research Promotion Agency. 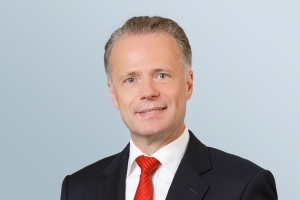 In 2017 he founded Proceeder Unternehmensberatungs Gesellschaft m.b.H. as managing partner together with 3 colleagues, where he offers a wide range of services for companies in life science, pharma, biotech and medical devices – both in consulting and in operational implementation. We support you right from the outset – in all aspects of your business from strategy development and implementation to financial services and project management. Preclinical development is crucial both in adding value to a drug and in admission to clinical trials. We work jointly with you to develop the right strategy. Depending on your requirements, we can take over commercial management of the development, trading and distribution of medical devices. We will prepare your scientific results professionally, create research proposal applications, take over patent management and support you with the technology transfer. We provide traditional consulting services for marketing, product development and life cycle management, globalisation and sales support. We advise you on all aspects of biosafety and genetic engineering, supporting you in compliance with regulations and offering workshops and supervisory functions. We provide expert advice and strong support to help you reach your planned objectives. We support and work with you in establishing your business start-up from the initial analysis of your business idea to business planning through to end realisation.